Americans perk up when they hear about the newest research findings, and yet, many of us have a love/hate relationship with research. Just when we change our lives to incorporate that oh-so-interesting-finding, another study is published that seems to contradict it. This article aims to help us make research an ally by informing how to categorize its usefulness. The most important things to understand about research is a study reveals truth at a moment in time for a particular set of circumstances and it never includes the whole truth. Quality research is rarer than one might suspect. 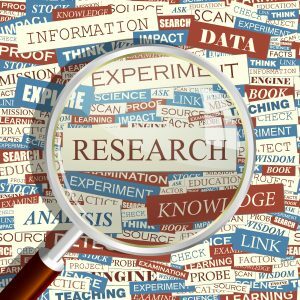 The higher the quality of research, the more one can reliable use it to influence decisions in one’s life. You can contribute a body of literature if you understand the process and choose a study appropriate to your situation. As a Bones for Life® trainer, I am interested in promoting understanding of research as it relates to that program. For this article, I will use this form of somatic education as a reference point. To date, information in the efficacy of the Bones for Life® program is, for the most part, anecdotal. Most research begins at this level. For example, a physician becomes interested because a number of patients are displaying swelling in their hands. They report symptoms beginning sometime after they also started taking pharmaceutical X. From these anecdotal reports, the physician notices a pattern, and publishes these observations as a case series. Elsewhere, another physician notices something similar. A small pilot study is put together through collaboration with the local university. Since results of small pilot studies only point in a direction and need to be repeated at increasing levels of sophistication, as well as submitted for peer review, the researcher may apply for funding resources to increase the sophistication of the study. This is how a reliable body of knowledge is built. Small pilot studies without controls or even good scientific method abound. These authors likely have good intentions and simply want to promote discussion and further research. However, once published these studies are seen as truth by many people. This is a significant danger zone for somatic practitioners/teachers. It is easy to pass along or use information that has very little grounding in scientific veracity. Since teachers instantaneously become authority figures for many students, what we say can make a difference in their health choices. Thus it is very important that we are careful in the information we disseminate and that we encourage individuals to do their own research and make independent and informed decisions. There are two main categories of research: Qualitative and Quantitative. In brief, quantitative data are measurable unlike qualitative data, which cannot be expressed mathematically. Qualitative research focuses on the why and how compared to what, when, where. The fields of social services, arts, and psychology, for example, find qualitative research to be very helpful. It is often difficult to obtain funding for qualitative research or to get it published in medical journals. Nonetheless, such studies often form the basis for a quantitative research study. In somatic education, we are highly oriented towards the how and why of human experience. Qualitative studies can be small and in the form of focus groups/samples. Because of the sample size and flexibility of the assessments, this type of study is well within the range of somatic practitioners. In each of the methods, the concern is with the opinions, experiences and feeling of individuals from which subjective data are derived. Just as in quantitative research, a study should look to naturally arising phenomena. No attempt to manipulate the situation in order to arrive at a specific answer should be made. As well, in compiling data, care is taken not to exclude important aspects, but to accurately summarize the findings. A description of a Qualitative Study/Case study design: Case studies can fit both the qualitative or quantitative model and range in complexity. The simplest would be a description of a single session with one client or a series of sessions with one client. When done over time, the study can reflect the changes that occurred for client and/or teacher. This result speaks only to the particular situation published and is not necessarily representative of other similar cases. A description of a Phenomenology Design using the Interview method: Relating to Bones for Life® one could develop a questionnaire seeking to understand why some students engage in regular home practice and others don’t. Or one could inquire about how students feel the BFL program benefits their life and why. Here, the questionnaire acts like an interview, a common practice in qualitative research. More complicated to administer would be verbally asking one or two open-ended questions from a selected sampling group. For example, a teacher notes that only a handful of students report practicing at home. An open-ended question to these specific students might be, “I notice that you practice at home. What motivates you to do so?” Based on each individual’s answer the next question emerges. All interviews would be recorded, transcribed, reviewed and categorized. Quantitative research is most widely used by medicine and science. This systematic approach develops a hypothesis and then tests it against appropriate measurements in controlled circumstances. In this way properties can be quantified leading to empirical data. Empirical data are capable of being verified or disproved by observation or experiment. The basis of good research begins with the Scientific Method. As defined by Wikipedia, “The Scientific Method is a body of techniques for investigating phenomena and acquiring new knowledge, as well as for correcting and integrating previous knowledge. It is based on gathering observable, empirical, measurable evidence, subject to specific principles of reasoning.” Now that is a mouthful. Let’s break it down into something more usable. While it is true that Wikipedia would not be used by a researcher as a solid source, the above definition was more readable and still contains the components that a number of other sources contained. The newspaper reported or last week my movement teacher said. Let’s say you hear an interesting bit on the news that says something about vibration and bones. If you are interested and you want to use that information for your own understanding, be proactive and investigate further. Do not simply pass on what you hear without your own confirmation. Study population: Is this men, women or children? A certain age? Race? Individuals with a particular health status? Living independently or in a supervised setting? Randomization: In order to appropriately understand how an intervention/treatment affects people, those engaging in it vs. those that do not, must be similar. This is sort of like wanting the lottery results to be random. We don’t want to participate in a lottery that is stacked toward a person with a particular profile. Randomization is very important when there is a control (receiving no intervention) group or a comparison (receiving another type of intervention) group. Blinding: The less subjects or testers know about which intervention is being administered, the higher the quality of the study. Triple Blind: neither the tester, subject, or the statistical analyst knows who received the placebo or actual treatment. Statistical Analysis: Both random error and systematic error rates in the experiment should be reported in each study. Without this, a measurement is meaningless. Information about tester reliability should also be included. You will find more on tester reliability in Figure 1. Basic Steps in Scientific Method. Discussion : A good discussion will point out the problems with the study. For example, the sample size was too small or there was no tracking of medication changes. It will also provide references to other studies, which the current study confirms or appears to disprove, and why that might be true. Conclusions : Much like the abstract, the conclusion will make a statement about the researcher’s final understanding of the results, the validity of the hypothesis, and suggestions for future research or improvements. It might read something like “while the sample size was small, the results suggest a relationship between drinking Hi-C and increased cavities in children under the age of five. Further studies are necessary with a larger sample group including other races/ethnicities to validate this finding.” Funding/Sponsorship/Conflict of Interest: Hopefully you will also see a statement about the funding sources and any conflict of interest (sometimes this is left to be implied i.e. “Funding received from ConAgra.” When the study is about genetically altered corn, there is a potential conflict of interest) Bibliography: If you want to understand more, obtaining articles from the bibliography can be a gold mine. Taking the time to read, at minimum, the abstract, discussion, conclusions can enhance your understanding of the topic at hand. It puts the “snippet” from the newspaper into a broader perspective. And when people inquire as to your opinion, you will have a deeper understanding of the study’s findings. As studies become more sophisticated, the truth they reveal is more reliable. Sophistication relates to key technical aspects of the method such as sample size, randomization, controls and long-term follow-up. Repeatability: This means other researchers can produce the same results when repeating the experiment with other subjects. Longitudinal studies: Answers the question of how people respond over time. For example, the long‐term results and side effects of bisphosphonates (the current primary pharmaceutical used in treating osteoporosis) are as important as the initial improvements in bone mineral density. Sampling variety: There are differences between genders, races, ages, health status, etc., that need to be understood through expanded research. This has been widely in the news as it relates to applying results of testing with largely male groups to female patients or white patients to black patients. Prospective vs. Retrospective: Prospective studies collect findings in a controlled setting. The researchers are in control of all desired aspects. Retrospective looks back in time, examines the available data, and draws conclusions or suggestions based on that data. Prospective studies is the higher quality of these two types. One study will never be enough. The scientific method is an ongoing process. Cynthia Allen is a Guild Certified Feldenkrais Practitionercm and Bones for Life Teacher/Trainer. She has a private practice in Cincinnati, Ohio. You can find out more about her and her practice at www.futurelifenow.com. Allen can be reached by email at CynthiaAllen@FutureLifeNow.com. She offers certification and continuing education programs through www.integrativelearningcenter.org.